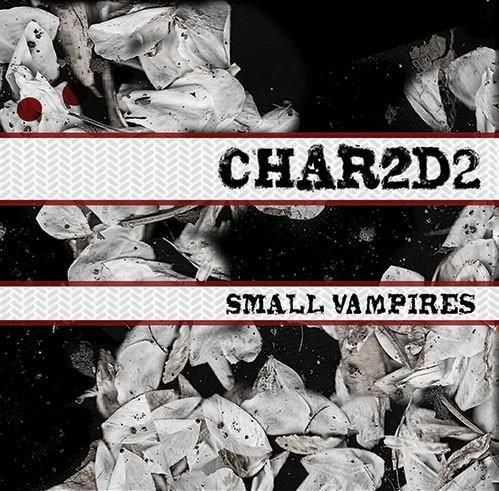 There may be small vampires but there are no small tracks on the debut album from Vancouver band char2d2. The EP, titled Small Vampires, features six charming pop melodies and soft love songs that don’t give way to tears as the strong guitars and quick underlying rhythms keep the songs up-tempo. Officially char2d2 is Charla McCutcheon. The addition of Eric Breitenbach on drums completes the duo. No stranger to the Vancouver music scene, McCutcheon was a member of the local indie-pop band Bella before leaving for Paris and coming home again to form char2d2. It is not surprising that Small Vampires’ stirring pop sound is reminiscent of Tegan and Sara as Tegan Quin of the famous Canadian dup produced the album. But char2d2 manages to maintain their own sound that will stimulate the listener’s senses without losing their simple indie-pop appeal. The title track, You are a small vampire, is a mellow song, featuring sweet lyrics and the simple wish, “Can I be the one that you wake up at 6am?/And we talk to the clouds until we fall back asleep again” McCutcheon’s soft melodic vocals are complimented by compelling backing drums and her own formidable guitar playing and the result is an inspiring track that will make you want to sing along while quietly resolving to chase the love of your life to any corner of the earth. Whether catchy rhythms (Some Will Have to Go) or softer songs more conducive to quiet reflection (I Am Safe), the Small Vampires EP from char2d2 is full of engaging pop inflections and strong instrumentation and the band has all the makings to put an impressive dent in the Vancouver music scene before setting their sights higher. Small Vampires is available for purchase on MapleMusic.com, or to download on itunes. For a listen visit their MySpace page and if you like what you hear char2d2 is playing live at the Biltmore Cabaret in Vancouver this Thursday, July 30th. Though it's not latest offering from Australia's Washington, the Clementine EP is five tracks full of sweet melodies and honest lyrics and it was and is an accurate indicator of the good things to come from the band.